International employees now wait up to five weeks to receive their NemID. DI laments further administrative burdens at a time when companies lack employees. International employees must now wait up to five weeks for their NemID log-in – and thereby for access to critical services such as online banking and e-Boks. Deeply frustrating, says relocation firm Aspire Mobility Group. The Confederation of Danish Industry laments still more administrative burdens and hassle for companies. Imagine going without online banking and e-Boks for a month: You cannot pay rent, register a change of address, transfer money to your family, view your paycheck or post from the hospital. Meanwhile, that is the reality for foreigners who have found a job in Denmark, moved to the country and are starting work. Whereas international employees could previously order their NemID at the same time as their CPR number, they must now wait for their CPR card to arrive in the mail – and then order, wait again and finally take a trip to the citizen service centre. In the worst case, this can take up to five weeks, says Director of Relocation Services Pernille Bilenberg from Aspire Mobility Group. “It’s deeply frustrating for international employees. 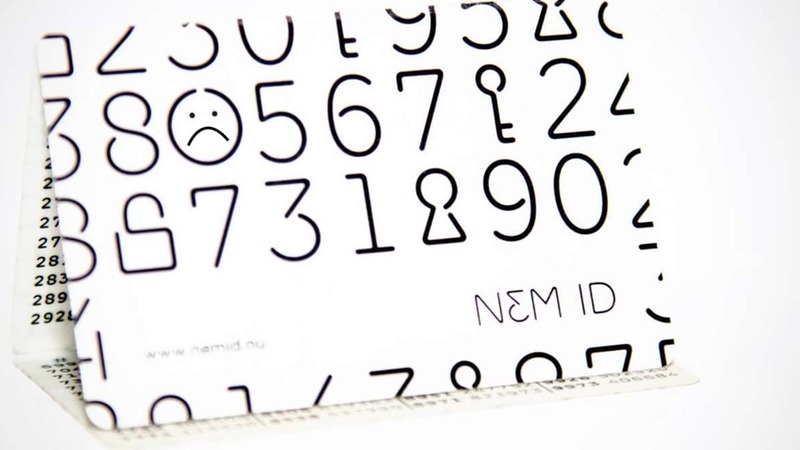 NemID is the digital key to Denmark, and without it they are essentially locked out and cannot pay their first month’s rent, register their new address or transfer money to their family,” she says. Each year Aspire Mobility Group helps over 100 mostly medium-sized Danish companies from all sectors get new employees off to a good start in Denmark. “Companies hire us so that their new employee can start working as quickly as possible. Companies, just like their new employees, also become extremely frustrated when the process becomes more burdensome, because it takes focus away from that goal,” says Director of Relocation Services Pernille Bilenberg, Aspire Mobility Group. The relocation firm was notified of the new rules about a month ago. The message came from International House Copenhagen with a link to the new NemID regulations. It is the Danish Agency for Digitisation that manages NemID. Deputy Director-General Adam Lebech explains that the Agency for Digitisation has stressed to Copenhagen Municipality, among others, that it must observe the rules that have applied to issuance of NemID since 2010. “NemID is the portal to Denmark’s public services. To avoid abuse, it is crucial that we have top-notch security and are certain that the identity of new citizens is correct,” he says. However, Adam Lebech also emphasises in the same breath that the Agency for Digitisation is very open to further discussion about how to find solutions that make things simpler for companies. “We would like to start a dialogue about how we can find a better solution for issuing NemID to international employees that also satisfies security demands,” he says. At the Confederation of Danish Industry (DI), Director of Global Talent Linda Duncan Wendelboe laments the fact that it is becoming increasingly burdensome for companies to get their international employees started working. “The administrative situation continues to worsen – which is regrettable, because Denmark needs the workforce and companies need them to get to work quickly,” she says. DI’s Director of Global Talent explains that International House was originally envisioned as a place where international employees could take care of all administrative hurdles related to moving to Denmark in one go. “The vision of a one-stop shop where international employees can meet with all authorities – and take care of all registrations – under the same roof without unnecessary bureaucracy is gone. And that is a real shame,” says Linda Duncan Wendelboe. DI will submit a proposal for reducing the long waiting time for NemID for international employees to the Business Forum for Better Regulation. The forum serves as a channel through which proposals for improvement can be passed to the government, which deals with proposals according to the “comply or explain” principle.